Tasty food, warm weather, and awe-inspiring fireworks lighting up the summer skies. 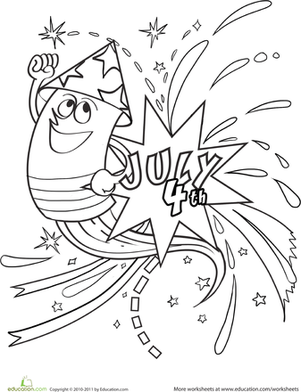 What's not to like about this great American holiday? 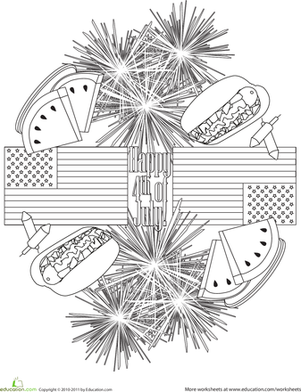 This year, celebrate the good ol' USA with this festive collection of 4th of July printables. 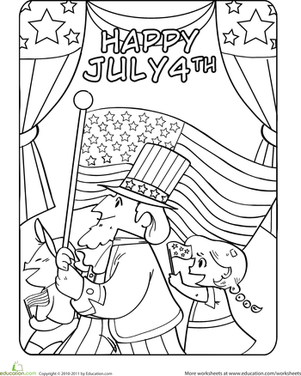 Gather some red and blue crayons or markers and encourage your kid to make Uncle Sam proud by bringing these patriotic scenes to life.